Mains powered. Diesel. Gasoline. Battery eGPU. ITW GSE has the power to cover your needs. No matter which type of Ground Power Unit you are looking for. 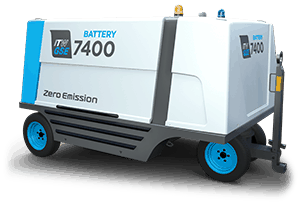 We supply you with 400 Hz solid-state Ground Power Units , diesel-driven Ground Power Units, gasoline powered units and battery Ground Power Units. 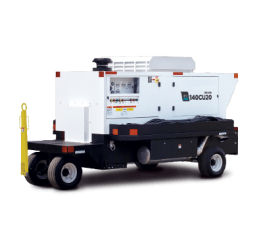 We also supply 28 VDC solid-state or diesel-powered Ground Power Units or a combination of 400 Hz and 28 VDC units. We got you covered. 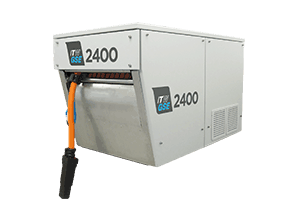 ITW GSE is a leading supplier of 400 Hz and 28 VDC Ground Power Units (GPUs) to the airport industry with roots stretching back nearly 100 years. If you are in aviation and haven’t yet done business with ITW GSE, there are some very good reasons for getting to know us. At ITW GSE, we monitor the aviation market and are at the forefront of new aircraft requirements and market developments. 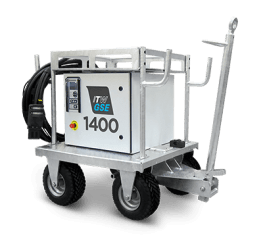 With an in-depth knowledge of the Ground Support Equipment industry, ITW GSE combines customer-back innovation to develop and deliver 400Hz and 28 VDC power solutions that are tailored to your needs. As a result, you get cleaner and more reliable ground support systems that improve the working environment for your staff and increase the efficiency of your operations. The backbone of all ITW GSE design is our common design platform that offers significant advantages. All products are equipped with the ITW GSE icon-based user interface. It is easy and intuitive to use – just like a smart phone or tablet. Airport staff that is already familiar with one ITW GSE product, can easily operate another since the display and the icons are the same. 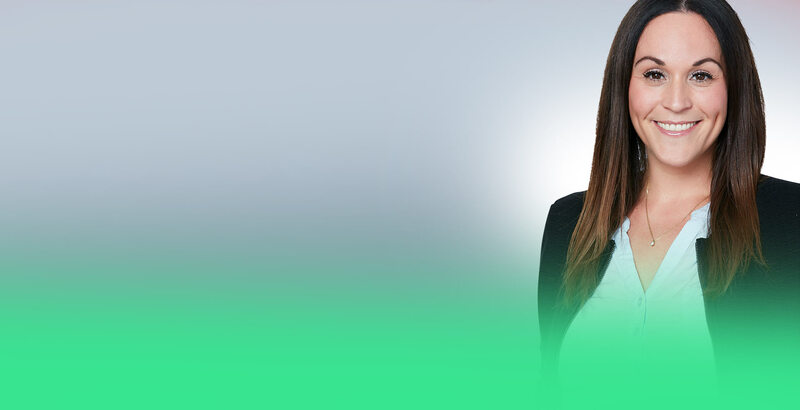 Less human errors during operation, simple product training, reduced spare part requirements and quick service and repair are advantages of the ITW GSE Way of Thinking. We supply 400 Hz GPUs, 28 VDC GPUs or combinations of those. 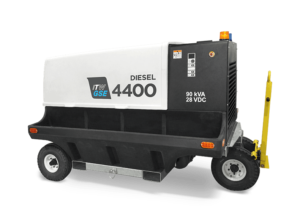 As our Power Units are available in solid-state, diesel, gasoline or battery versions, we got you covered whatever your needs are. 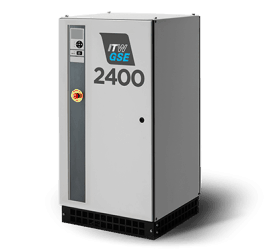 The ITW GSE 1400 is a 28 VDC solid-state Ground Power Unit. It is a small, light and easy manoeuvrable solid-state GPU that does not take up much space neither in its mobile nor in its the fixed version. Further, it is robust and rock-solid. 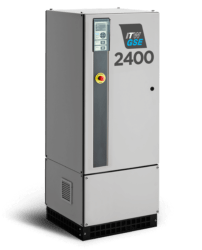 The ITW GSE 2400 series is the market’s best choice when it comes to point-of-use 400Hz solid-state, Ground Power Units. It is the market's smallest 400 hz GPU which means a lot in a congested airport area. Also, it is very reliable and robust. Due to its patented Plug & Play voltage compensation system, the 2400 compact has a supreme output voltage at the aircraft plug, right where it matters. 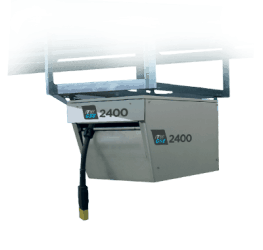 The 2400 Power Coil is the aesthetic 400 Hz power solution, especially in case of glass boarding bridges. The 2400 Coil GPU includes a 400Hz, 90 kVA power supply and a cable coil in one single enclosure, leaving the PBB and the apron pleasant to look at. 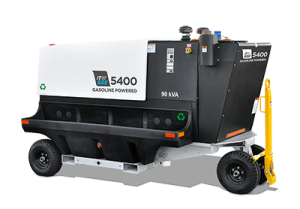 The 4400 series is now available with a Cummins Tier 3 or Tier 4 engine so that no matter where you are located, we have a 400 Hz mobile driven GPU to meet your needs. The 5400 GPU combines a standard gen-set with a 2400, 400 Hz solid-state converter. It is the first of its kind that runs at variable speed. 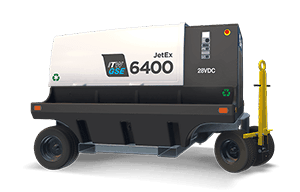 The 6400 JetEx® 8 mobile diesel-driven 28VDC GPU offers the same quality and reliability that JetEx® owners have become accustomed to. The CU20-series offers an innovative cooling system, designed to operate within the engine installation requirements.